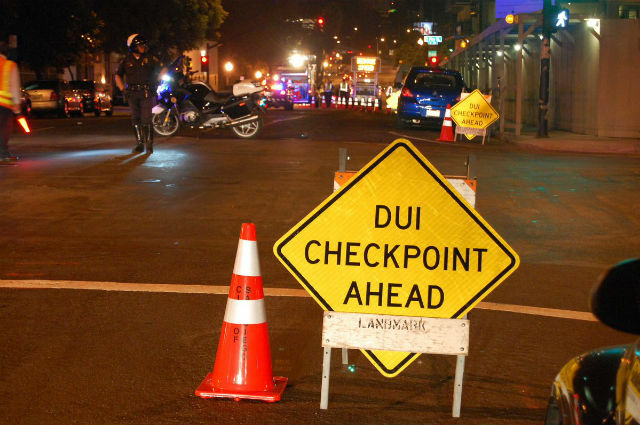 DUI checkpoints in San Diego and Lemon Grove resulted in 12 arrests on Friday night and early Saturday morning. San Diego Police at a checkpoint set up at 1400 G Street arrested 10 people on suspicion of DUI, according to Officer Mark McCullough. Nearly 2,000 vehicles passed through the checkpoint and 743 were screened, McCullough said. In addition to the 10 DUI arrests, two drivers were cited for driving without a license or with a suspended license, six other citations were issued and 10 vehicles were impounded. A San Diego Sheriff’s Department DUI checkpoint in Lemon Grove resulted in two arrests, nearly a dozen citations and six vehicles impounded. That checkpoint was located in the 8000 block of Broadway from 8 p.m. Friday to 1 a.m. Saturday, according to Sgt. Joe Passalacqua. He said Lemon Grove was chosen because of the high number of recent hit-and-run collisions in the community. A total of 504 vehicles passed through the checkpoint and more than 400 drivers were screened, with 26 of them being further evaluated due to driver’s license discrepancies or DUI symptoms, said Passalacqua. One driver was arrested for DUI and another was arrested for delaying a peace officer. A checkpoint was also scheduled in Vista on Friday night, but there were no immediate reports of arrests at that one.